If you’re a student athlete, you already have a lot going on with school, homework, and practices for your respective sport, but it shouldn’t stop you from getting a spectacularly straight smile. You might be wondering, “What’s better for me, Invisalign or braces?” Both options have pros and cons, and ultimately, it’s your call on which route to take (as long as your orthodontist thinks either option would work for you). Braces are obviously more the traditional route for orthodontic treatment, and some orthodontic issues can only be treated with braces. One benefit of braces is, due to the fact they are actually attached to your teeth, they cannot be lost during the chaos of an athlete’s life. Since they don’t have to be removed when you eat or drink, they’re almost less work in that sense. They do require thorough cleaning as soon as possible after eating food though. There are some precautions that have to be taken if you are going this route and you’re an active athlete, especially if your sport of choice is a full-contact sport. An orthodontic mouthguard is something you should definitely use while you are playing or practicing. This will prevent damage to your braces and injuries to your mouth if you’re hit in the face in any way. Damage is obviously not desired and can be both inconvenient and painful, depending on what happens. Also, you will have to set some time aside to brush your teeth and clean your braces out after eating food, but this is a maintenance task that quickly becomes a simple routine in your life. Invisalign is a highly desired treatment plan for athletes for a few different reasons. The likelihood of your mouth being injured while wearing Invisalign is significantly smaller than it is while wearing braces. You have the option of removing your aligners during practice and competitions if you’re more comfortable doing so, but they do not need to be removed to partake in sporting activities. Invisalign aligners are designed to fit tightly, so you don’t have to worry about them falling out. 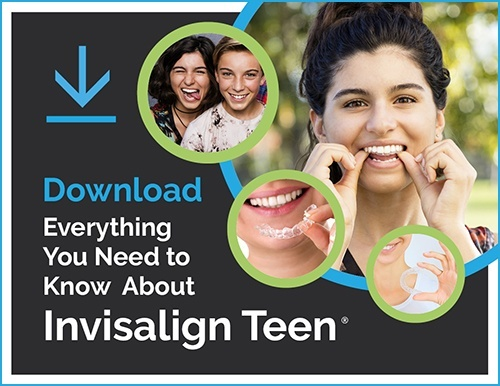 One thing you should be aware of if you choose Invisalign is there’s a slight chance it might not be a viable option for you. If you’ve yet to see an orthodontist and you already decided you only want to do Invisalign, you need to be aware of the fact that braces are the best option for treating certain orthodontic issues. Also, if you are an Invisalign patient and you do choose to remove your aligners during practices and games, there is a chance they can be lost. They also have to be removed to eat or drink anything that’s not water, which can be slightly inconvenient if you’re constantly on the go, and they can get lost easier than braces, since they aren’t permanent. Ultimately, as an athlete, it is your call which treatment you go with, although you should make sure that no matter what, you maintain either with utmost care. Each option has a variety of pros and cons and these should be considered carefully with your orthodontist before deciding which is best for you. If you have any questions, please contact our team to schedule a free consultation.